H&M is proud to announce the evolution and growth of its H&M Sport concept in January 2014. The new H&M Sport will offer greater choice and new designs for more sporting activities, reflecting the increasingly active lifestyles of women, men and children. The new H&M Sport collection has been designed with input from world class professional athletes from the Swedish Olympic team, placing the emphasis on performance, with a natural instinct for fashion. As well as a new visual identity, H&M Sport will also get its own dedicated area in selected stores. The expansion confirms H&M’s long-term commitment to H&M Sport, and its rapidly growing engagement with the world of sport. “The new H&M Sport is so exciting, especially with the expert input from athletes from the Swedish Olympic team. Sport and fitness is becoming an increasingly important part of all of our lifestyles, and the new H&M Sport is there to help you look and feel great,” Ann-Sofie Johansson, Creative Head of Design at H&M. “What we wear definitely makes a difference when we compete. It’s been a great experience to offer our advice for this newly expanded H&M Sport collection. 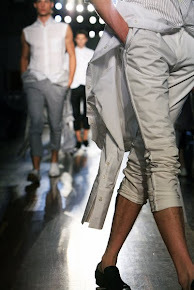 Our focus has been checking the pieces for fit and function, for performance and also comfort. These new H&M Sport pieces will help everyone get the most out of their sporting life,” says Swedish swimmer and Olympic medallist Therese Alshammar. WOMEN for women H&M Sport offers pieces for multiple disciplines. 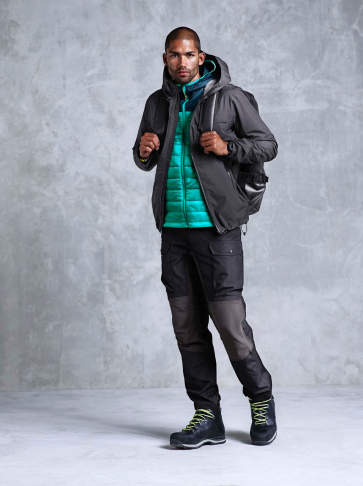 That means running pieces for whatever the weather, with a windproof and water repellent running jacket along with all other running needs; athletic quick-dry pieces for workout; loose and comfortable garments for body and mind activities such as yoga, and protective fleece jackets and water-repellent bottoms for those who love the outdoors. Functionality and comfort are key to the design, such as the different support offered by three types of sports bra, while colours run from black, white and greys to hot pink. 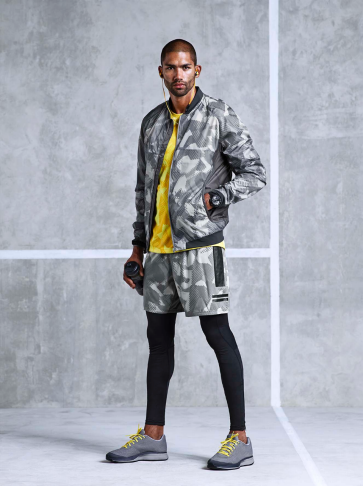 MEN for men at H&M Sport, key running garments include running jackets, in either block colour or print, and printed running T-shirts; there’s athletic kit such as work-out T-shirts, warm-up tops and trousers, and sleeveless hoodies. For outdoors there’s insulating jackets and base layers, as well as the key fully waterproof shell jacket, and for tennis there’s the essential polo T’s and tennis shorts. CHILDREN H&M Sport has pieces for boys and girls of all ages, whether it’s for play or practice. There’s sport pieces such as soccer kit and track suits, athletic kit and tennis gear, as well as swim pieces. There’s also special dance kit, and a full range of outdoor sport garments for all weathers and conditions.